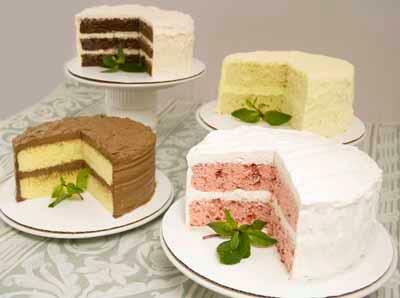 Our Assorted Cake mixes allow you to have healthier, diabetic-friendly desserts without sacrificing great taste. All of our cakes are low or reduced fat and easy to make—just add water and bake. 9 Flavor Assortment includes: 1 pack Banana, 1 pack Chocolate, 2 packs Lemon, 1 pack Harvest Spice, 2 packs Vanilla, 1 pack Yellow, 2 packs Cherry, 1 pack Carrot and 1 pack Gingerbread.